75 degradable and resealable plastic sandwich bags. Size: 18cm x 17cm. 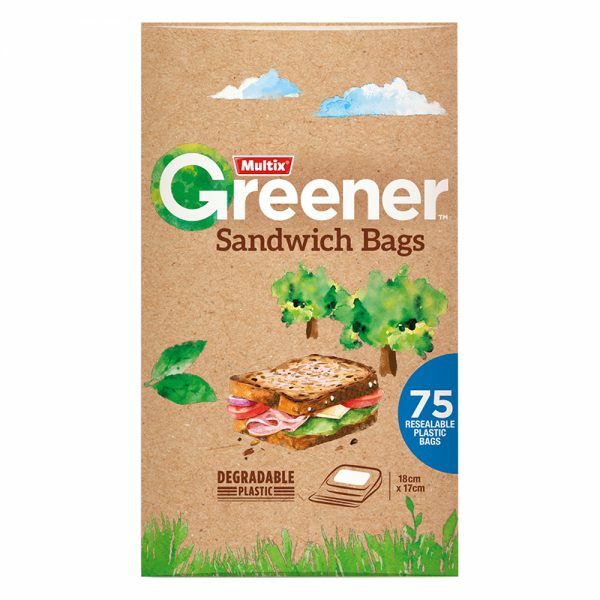 Multix Greener Plastic Sandwich Bags are degradable and break down when exposed to the environment. Strong zip lock seals tight to lock in freshness. Contains no PVC or plasticisers. BPA free.